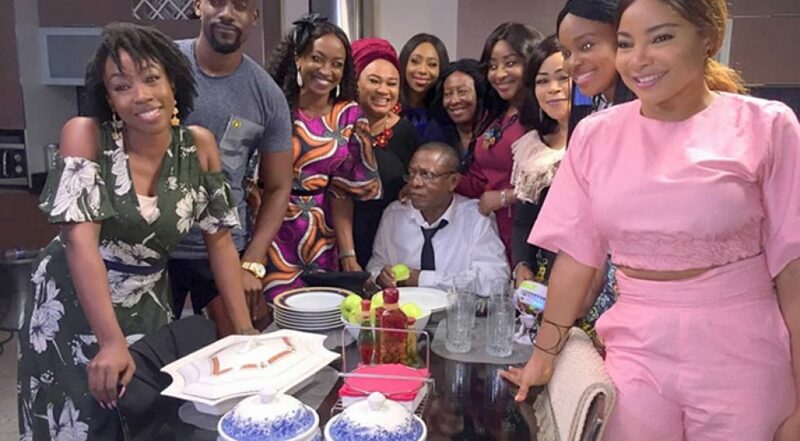 Lagos, 3 May 2017 – After weeks of blood, sweat and tears, EbonyLife Films, producers of Fifty, The Wedding Party, The Wedding Party 2: Destination Dubai and The Royal Hibiscus Hotel gladly announces the end of the filming period of its newest movie – Chief Daddy. Directed by the renowned Niyi Akinmolayan and set in Lagos, Chief Daddy tells the story of billionaire business man Chief Beecroft, a flamboyant benefactor to a very extended family of relatives, household staff and assorted mistresses. He lives large, like there’s no tomorrow, until the day he dies suddenly and the ‘gravy boat’ seems to dry up. What’s in his will and who gets all the money? Audiences will be thrilled with the unexpected plot twists. Mo Abudu, Executive Producer, looks forward to commencing the next stage of the filmmaking process for Chief Daddy. “It has been a gratifying filming period and we’re thrilled to start the post-production phase; seeing all the hard work come together on screen is quite satisfying. We look forward to putting the finishing touches to the film and getting it ready for moviegoers to enjoy when it’s released in December,” she said. Some of the elements that characterize this stage are top-to-bottom editing of the film; colour correction and the addition of light and sound. Based on the images and short clips that have been uploaded online with #ChiefDaddymovie, it appears to be a high-quality film – not surprising for an EbonyLife production. Fans have begun anticipating the movie, which already looks like it’ll be a pleasant cinematic experience, filled with laughter and loads of family drama. They will also enjoy seeing some of EbonyLife Films’ signatures – stunning outfits, good-looking actors and gorgeous locations.